Everyone has different ways of studying for the Project Management Professional (PMP)® certification. You may carry the PMBOK® Guide around with you, or use flashcards. You may join your local Project Management Institute (PMI)® Chapter and study in a group. Whatever your study path, someone has been there before you. While everyone has a slightly different story to tell, there are some things that make a big difference to your chances of success with the PMP Exam. Luckily, exam candidates are very happy to share their stories and lessons learned with you. We have reviewed and analyzed a number of lessons learned from the PMP Exam that successful exam takers have posted on our website. Here are our top 7 lessons learned. “I had a plan laid out and had to rebaseline it twice but it helps to view where you are and align it once every 2-3 days,” says one student on our forum. Create a plan in a format that works for you and stick to it. It’s OK if it changes every so often, but having a plan will allow you to assess if you are on track with your studies. And you can take corrective action if you are not. The PMBOK® Guide is the basis for the majority of the questions in the exam, so you really do have to know the concepts and the terminology thoroughly. Taking sample exams will help you establish where you need to concentrate your remaining study hours by flagging up the areas that you don’t fully understand. Passing the PMP exam successfully requires a lot of study – more than perhaps you first thought. Seek out extra time in the day where you can revise concepts to boost your study hours. “Trust yourself,” advises one new PMP. “If you can score around 75-80% in an exam simulator, you can feel confident about passing the exam.” Building your confidence is a key strategy to successfully passing the exam. You want to enter the exam room knowing you have the skills and knowledge to pass the PMP Exam. It will make you feel better about the exam itself, especially if you have not taken an exam for some time. You don’t want to run out of time in the exam so make sure you know what 4 hours feels like. Check you can get though a complete sample exam in that time. Yes, lessons learned are a great way to prepare! Talk to previous students, discuss your study plans with members of your local PMI Chapter and listen to as many people talking about their own journey to becoming a PMP as you can. One successful student on our forums recommends listening to interviews through podcasts. “People are asked about their experiences during their preparations and the exam itself,” the new PMP says. “Listening to the different opinions and experiences motivated me a lot. At the beginning of your study time you get an understanding of the effort it takes to pass the PMP Exam.” Talking and listening to others will help you establish if your study plans are on track. Want more PMP lessons learned? Go to www.pm-prepcast.com/ll to read more advice from previous PMP candidates. There are always great ideas and suggestions that people have for other exam takers. For even more PMP Exam support, take a look at The PM PrepCast for your exam preparation. It’s full of advice, interviews and lessons from people who have successfully taken the journey to becoming a PMP. And when you’ve completed your own PMP journey, don’t forget to come back and share your experiences on the forum as well! About the author: Cornelius Fichtner, PMP is a noted PMP expert. He has helped over 18,000 students prepare for the PMP exam with The Project Management PrepCast and offers one of the best PMP exam simulators on the market. Please join me for my presentation on Wednesday May 9, 2012 at the PMI Global Congress EMEA in Marseille. I will be speaking about The 5 Team Leadership Principles for Project Success and how they can help build and manage a performing and winning team. Additional information about the presentation is available at the official PMI Global Congress EMEA website. 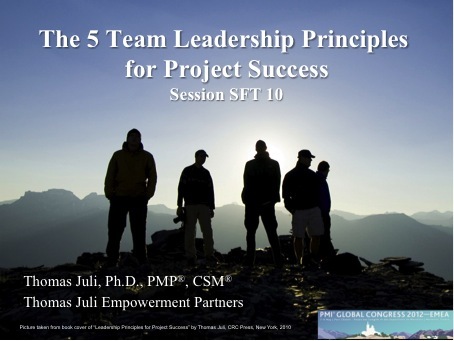 A handout of the presentation is available here as well as an article on the 5 team leadership principles for project success. Today’s projects become increasingly complex and a test of our leadership. What do you recommend to master this increasing complexity and to show your leadership skills at the same time? Individuals in the team and the whole team need orientation and guidance or an inspiration how to do so by themselves. Personally, I have found that the philosophy of Zen offers many insights which can help us achieves this. In simple, easy to understand language it outlines avenues to find our lost individual and project identity, overcome burdens and master challenges, reduce complexity and guide us to personal success. My latest presentation on the very topic is now available on Slideshare. This presentation introduces 10 Zen insights and translates them into the language of project management. It thus shows how to apply Zen insights in a project setting. 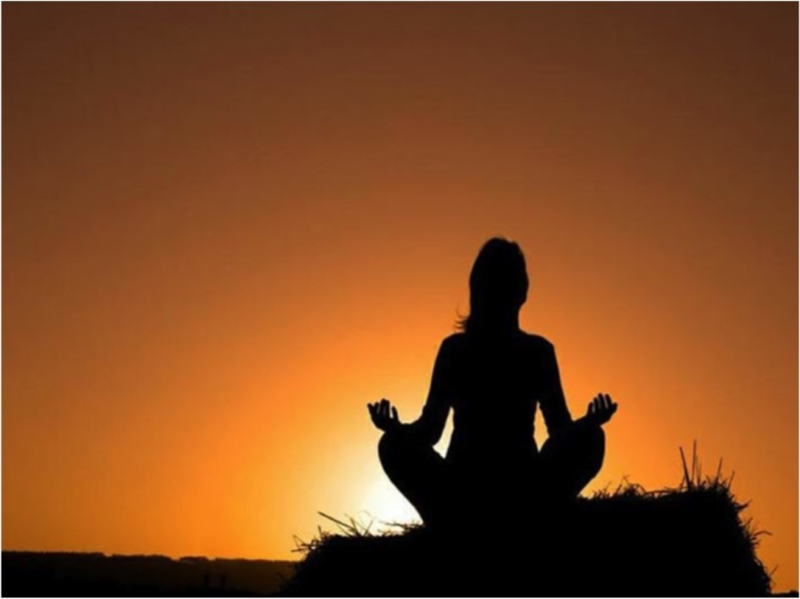 Zen can help inspire us personally and how to interact effectively with our team, customers and stakeholders. Applying Zen in projects makes it easier to build teams, perform on a high level and deliver results which delight our customers and teams alike. It thus helps us and the team to evolve into a performing unit and excel. You have to understand, accept and embrace the actual motivation of your project. Projects are NOT just about SMART project objectives. As a matter of fact, SMART project objectives without a vision kills creativity, risks results and may lead to failure. In situations of severe stress, don’t fall into the trap of rapid action or even blaming others. Instead, relax and take responsibility for your situation. Instead of being manipulated by others, this principle encourages us to personalize our projects and thus project success. Leadership and motivation go hand in hand. We have unleash guiding energies in our team and develop a solution- and reults orientation in our team. There is no law that complex problems require complex and complicated solutions. Less is more. This is a reminder not to get lost in the jungle of details and keep the eye on the vision of our project. Let’s face it, perceptions are more important than facts. It is futile to look for a simple truth. After all a simple truth is no more than an assumption which may be false altogether. If everyone on the team understands the WHY of the project, everyone can identify him/herself with the project. The project becomes a part of them. This passion sets the individual and the whole team free, resulting in team synergy and team magic. Let me know if you are interested to hear / read more about it.